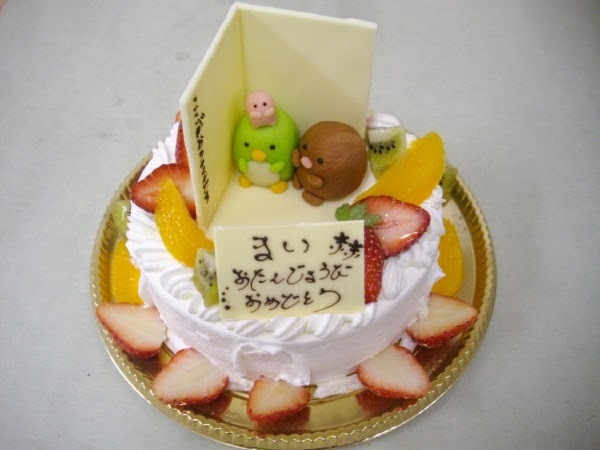 San-X opened a new store at Lalaport Fujimi which marks the 10th Rilakkuma store. This store is different from the previous Rilakkuma Store as it includes the Sumikko Gurashi Shop or Sumikko Gurashi "Corner". This special store set up is now called Rilakkuma Store Plus. To celebrate the opening of the new store, San-X released a set of mini plushies and a scene set. 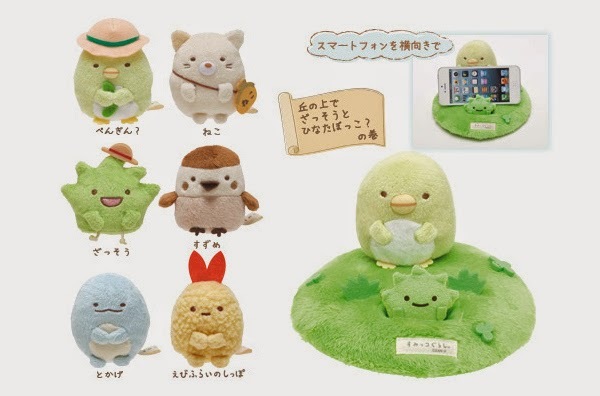 These mini plushies members includes Shirokuma. 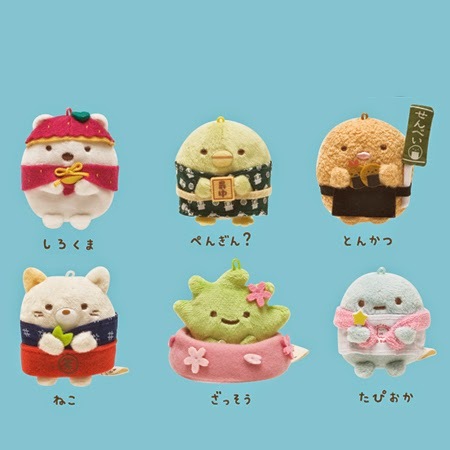 Penguin, Tonkatsu, Neko, Zassou and Tapioca. It seems that they come with tiny hoops on top of their head, one is able to hook them onto their straps easily. This scene set is in a train cabin with Mount Fuji in the background. 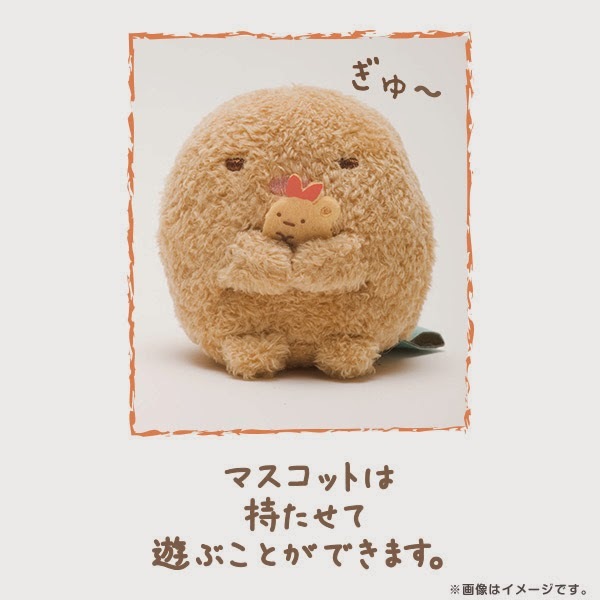 Shirokuma is using Furoshiki as a scarf to keep warm (love the irony here! 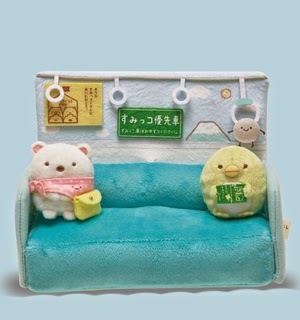 ), Penguin is reading and Hokori is just hanging around. Notice that they are all sitting in different corners which really fits their character to a T! 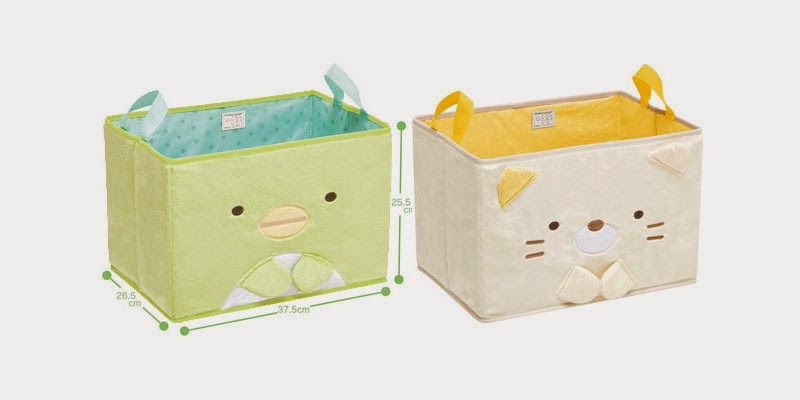 Of course you might want to fill the space between them by placing some of your existing mini plushies from Sumikko Gurashi to make them less lonely. We are unsure of their dimensions at the moment, but if you are interested to make a purchase for them, click on the links below! 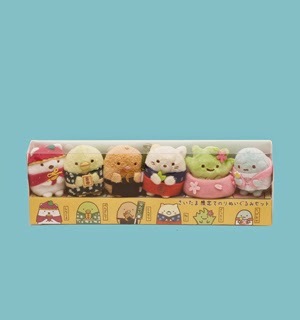 It seems that the popularity of Sumikko Gurashi is rising! San-X really did a great job introducing the many different characters and personalities that people can relate to. 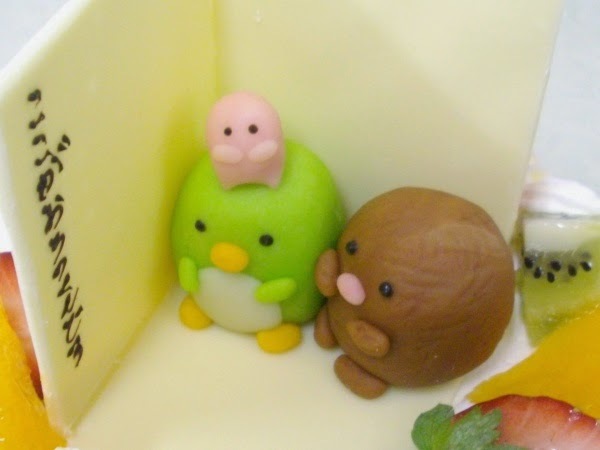 Look at how cute they are even as cake decorations! San-X new release for すみっこぐらし! These are the new items that are set to be released in September 2014. 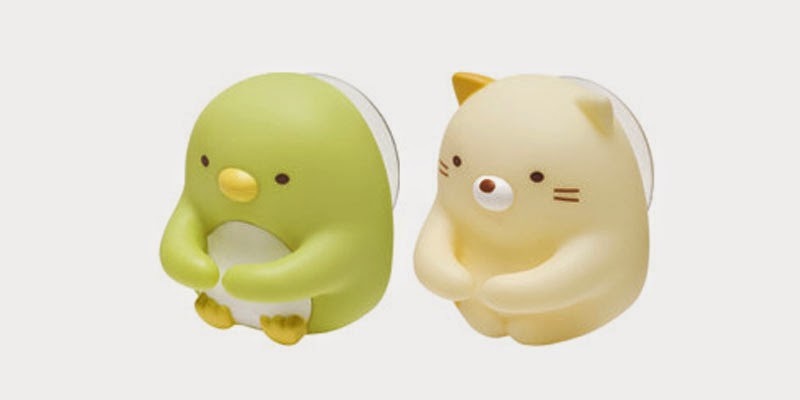 Only Penguin and Neko are involved in this release and they are mainly home lifestyle items. 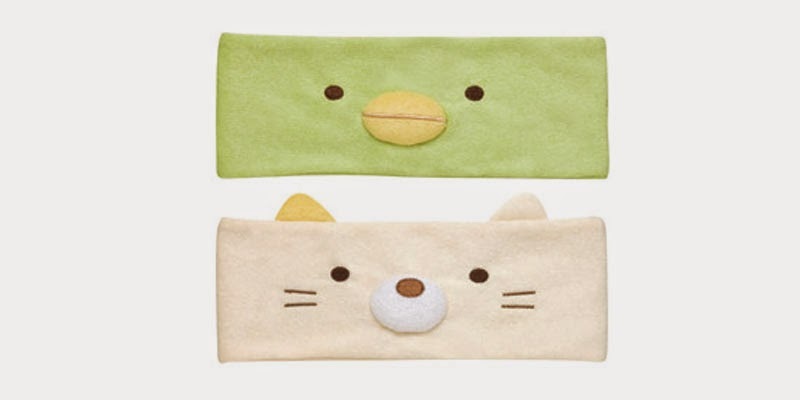 Sumikko Gurashi Hair Band for showering or when washing your face. Toothbrush holder! 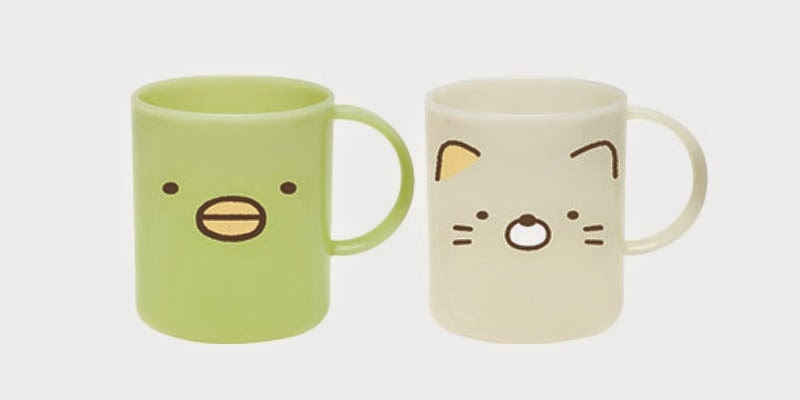 These are really cute if you just put them at the corner of the mirror. Storage box to store all your snacks! You can get one to put under your work desk or study desk to hide all the goodies. 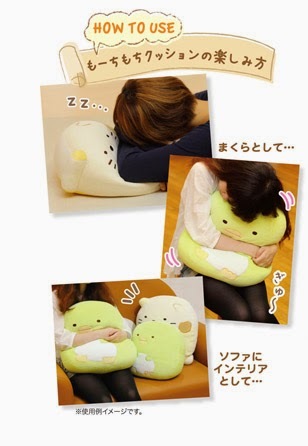 Mo-chi mochi cushion! 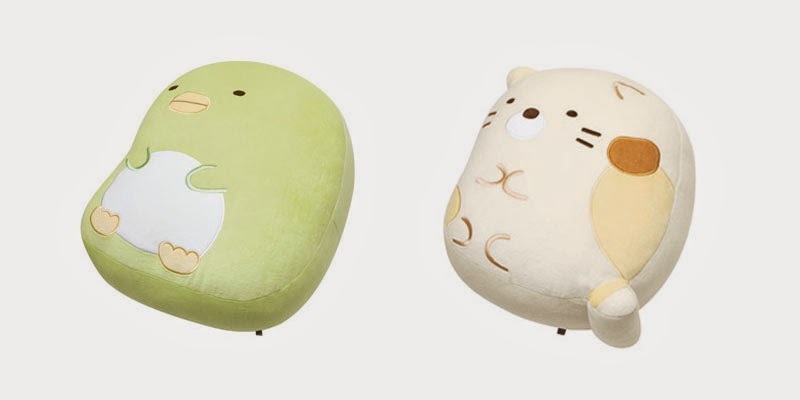 もーちもちクシオン！They can be used as a cushion while taking a nap and they look super cute stacking on each other when resting on the sofa. 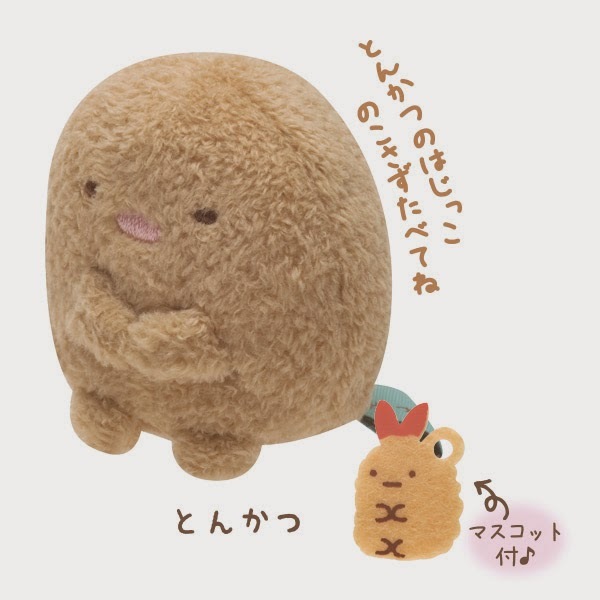 San-X really do know how to make everything soooo cute. To read more about each character, click here! Tonkatsu is one of my favourite character from the team! Can't imagine that he is actually made of 99% fats! It is said that his nose is the 1% meat left on him.